The latest addition to the American Queen Steamboat Company’s fleet of authentic paddle wheelers, the American Countess, offers many of the same exciting heartland and deep South itineraries as her sisters the American Queen and American Duchess. Built from an existing hull, the American Countess underwent significant reconstruction, including lengthening the boat by 60 feet. Guests will enjoy the signature distinctions that have made American Queen Steamboat Company the most award-winning river cruise line in America. With four decks, including a Sun Deck, and 123 comfortable, inviting staterooms in four categories, this lovely paddlewheeler will become a home away from home on six- to 15-day itineraries, including her own epic Mighty Mississippi cruise. Cabins feature a sleek and modern design that will provide guests with the perfect place to relax after enjoying an included shore excursion or an evening Broadway-calibre performance presented in The Theater onboard. As an award-winning culinary team takes full advantage of each region’s diverse bounty of fresh, local ingredients to fashion authentic dishes, the gracious staff charms guests with friendly, courteous attention to their needs in the Grand Dining Room. A more casual atmosphere is offered in the River Grill, which allows guests to dine at their own pace. It’s easy to stay active onboard the American Countess in her well-appointed Fitness Center, while the Card Room provides a perfect spot for guests to mingle with fellow travellers and newfound friends. 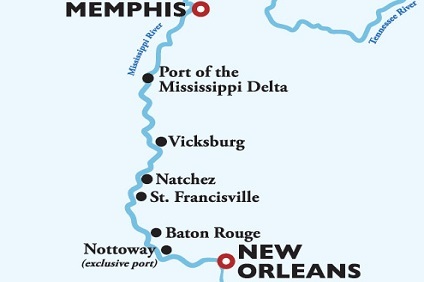 7 Night Cruise sailing from New Orleans to Memphis aboard American Countess. 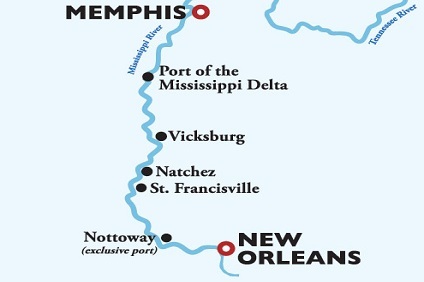 7 Night Cruise sailing from Memphis to New Orleans aboard American Countess. 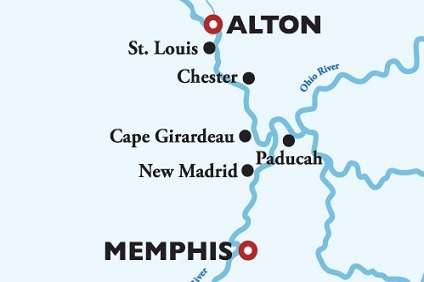 7 Night Cruise sailing from Memphis to Alton aboard American Countess. 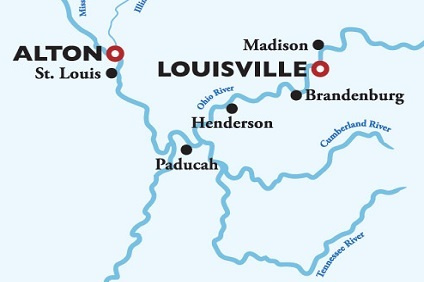 7 Night Cruise sailing from Alton to Louisville aboard American Countess. 7 Night Cruise sailing from Louisville to Pittsburgh aboard American Countess. 7 Night Cruise sailing from Pittsburgh to Louisville aboard American Countess. 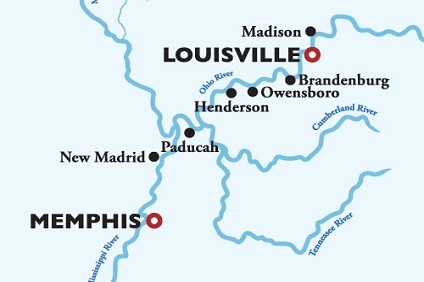 7 Night Cruise sailing from Louisville to Memphis aboard American Countess. 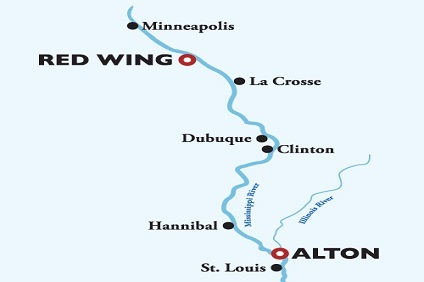 7 Night Cruise sailing from Alton to Red Wing aboard American Countess. 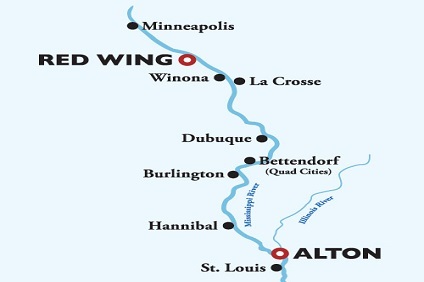 7 Night Cruise sailing from Red Wing to Alton aboard American Countess. 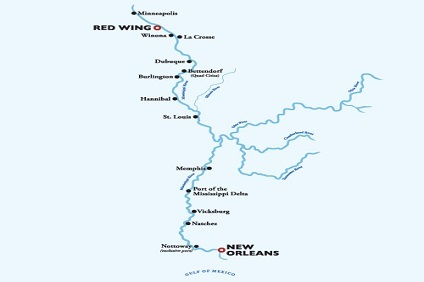 14 Night Cruise sailing from Red Wing to New Orleans aboard American Countess. 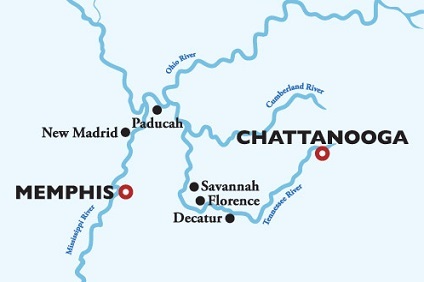 7 Night Cruise sailing from Memphis to Chattanooga aboard American Countess. 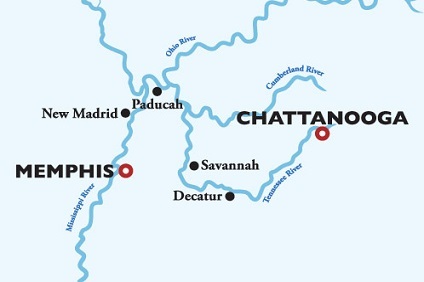 7 Night Cruise sailing from Chattanooga to Memphis aboard American Countess. 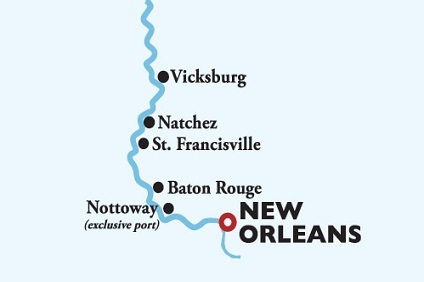 7 Night Cruise sailing from New Orleans roundtrip aboard American Countess. 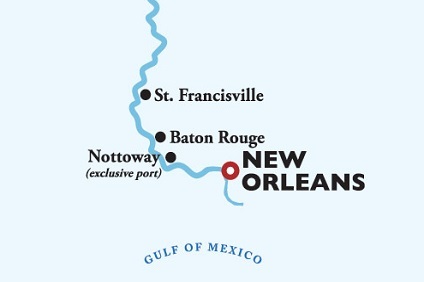 5 Night Cruise sailing from New Orleans roundtrip aboard American Countess.